Sciatica vs Piriformis Syndrome Explained | El Paso, TX. 🚫 STOP Lawsuit Abuse ! According to Dr. Dwight Lundell, former Chief of Staff and Chief of Surgery at Banner Heart Hospital in Arizona, people shouldn’t be taking statin drugs. “We physicians, with all our training, knowledge and authority, often acquire a rather large ego that tends to make it difficult for us to admit when we are wrong. So, here it is. I freely admit to being wrong. As a heart surgeon with 25 years of experience, having performed over 5,000 open-heart surgeries, today is my day to right the wrong with medical and scientific facts”, quoted Dr. Dwight Lundell. His statement directly targeted the field of cardiology, disassociating the practice of prescribing medications to lower cholesterol and a diet which severely restricted fat intake. 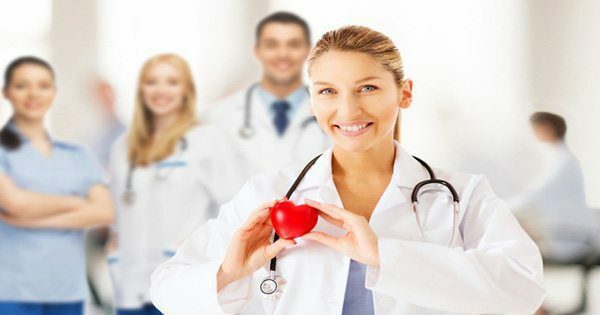 A wide number of doctors in the field of cardiology have become exposed to the teachings of numerous scientific literatures, frequently attending education seminars, all of which have persisted that elevated levels of cholesterol in the blood will generally lead to heart disease. However, this notion appears to be inaccurate. Debating publically on the issue, Dr. David Brownstein, and others, have recognized how badly mistaken the field of cardiology can actually be. As a matter of fact, inflammation in the artery’s walls is the real cause of heart disease. In other words, if there’s no inflammation present in the body, cholesterol shouldn’t be able to accumulate in the wall of the blood vessels, which can potentially cause heart disease and strokes. If there’s not enough magnesium in the body, inflammation can occur and it’s this inflammation which can then cause cholesterol to become trapped. Instead of statin drugs, magnesium should be the foundation drug for the prevention and treatment of heart disease, diabetes and arteriosclerosis; functioning as a natural calcium antagonist to regulate blood pressure and irregular heartbeats. Chronic inflammation has been recorded to result after the overload of simple, highly processed carbohydrates, such as sugar, flour and all products made from them, as well as the excess consumption of omega-6 vegetable oils, such as soybean, corn and sunflower, which can be found in many processed foods. Low magnesium, however, and excessive irregular breathing, may reduce the levels of CO2 and O2 found within the body, both of which can lead to systemic inflammation. Many healthcare professionals utilize calcium channel blockers, statin drugs and other controversial substances to lower cholesterol but their side effects can include suppressing already low levels of magnesium within the body. Magnesium is the absolute medicine for cardiologists and its pharmaceutical properties cannot compare to any other allopathic drug. Although magnesium is readily available for its immediate use in emergency departments, its potential is rarely appreciated or harnessed. Magnesium chloride and magnesium bicarbonate are two of the most recommended forms of the substance. Magnesium chloride can be found in the form of oit and it can be used both orally and typically and magnesium bicarbonate is for oral use with all of an individual’s water. Dr. Russell Blaylock stated, “There is evidence that magnesium deficiencies may play an important role in atherosclerosis, also referred to as the hardening of the arteries. 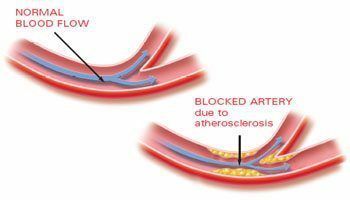 A research study conducted on experimental animals determined that magnesium supplementation prevented the deposit of lipids in the walls of the aorta, restricting the formation of plaque, which is a major factor in atherosclerosis. The researchers of the study examined 29 men with an average age of 72.5 years, who experienced impaired insulin sensitivity, to conclude whether there was any relation between ionized magnesium and lipids in the blood, such as cholesterol. Conclusively, they found that the level of blood-ionized magnesium, but not total blood magnesium, corresponded closely with levels of LDL cholesterol and total cholesterol, both of which could be potentially harmful. Magnesium is a powerful anti-inflammatory component which has been expected to help prevent cholesterol from oxidizing, which is why it has been demonstrated to reduce atherosclerotic plaque in experimental animals. Dr. Blaylock continued his research by explaining how he came across a study from 1959 that displayed several extraordinary findings regarding the interrelationship between calcium, magnesium and atherosclerosis. Researchers acknowledged from earlier studies that feeding animals large doses of magnesium considerably reduced the amounts of lipids deposited into the valves of the left side of the heart and in the aorta. This research study not only considered the lipid deposits in the wall and valves of the heart, but also, it looked into the calcium deposits found within the kidneys, which are common in people with kidney disease associated with atherosclerosis. Dr. Dwight Lundell further identified that consuming excessive amounts of omega-6 can cause the membrane of the cells to produce chemicals known as cytokines, which can directly cause inflammation in the body. The average American diet is composed of an extreme imbalance of omega-6 versus omega-3. The disproportion ratio ranges from 15:1 to as high as 30:1, in favor of omega-6. That’s an overwhelmingly large amount of cytokines which can have the potential to cause inflammation within the body. In today’s food environment, a 3:1 ratio of omega-6 versus omega-3 would be optimal and healthy as well as ideal. There is no denying the unavoidable truth that the more prepared and processed foods we consume, the more inflammation we cause in the body. The human body was neither designed to consume nor process foods loaded with sugars and saturated in omega-6 oils. One tablespoon of corn oil can contain up to 7,280 mg of omega-6 while soybean can contain up to 6,940 mg. As an alternative, olive oil or butter from grass-fed beef may be utilized to improve an individual’s intake of these substances, helping to promote overall health and wellness. Inflammation is a process caused when the white blood cells release a substance as an attempt to protect the body of harmful bacteria and viruses. In some instances however, inflammation can be induced by consuming unhealthy foods, which may lead to various types of complications. In fact, research studies have concluded that issues caused by increased levels of cholesterol within the body can be sourced from inflammation within the arteries. For more information, please feel free to ask Dr. Jimenez or contact us at 915-850-0900 . Welcome-Bienvenido's to our blog. We focus on treating severe spinal disabilities and injuries. We also treat Sciatica, Neck and Back Pain, Whiplash, Headaches, Knee Injuries, Sport Injuries, Dizziness, Poor Sleep, Arthritis. We use advanced proven therapies focused on optimal mobility, health, fitness, and structural conditioning. 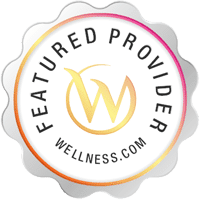 We use Individualized Diet Plans, Specialized Chiropractic Techniques, Mobility-Agility Training, Adapted Cross-Fit Protocols and the "PUSH System" to treat patients suffering from various injuries and health problems. El Paso, Tx. At What Age Can You Begin Chiropractic Care? Why Truck Drivers Need Chiropractic | El Paso, TX. 3 Celebrities That Rely Extensively On Chiropractic Care | El Paso, Tx. © 2019 - El Paso, TX Doctor Of Chiropractic. All Rights Reserved.